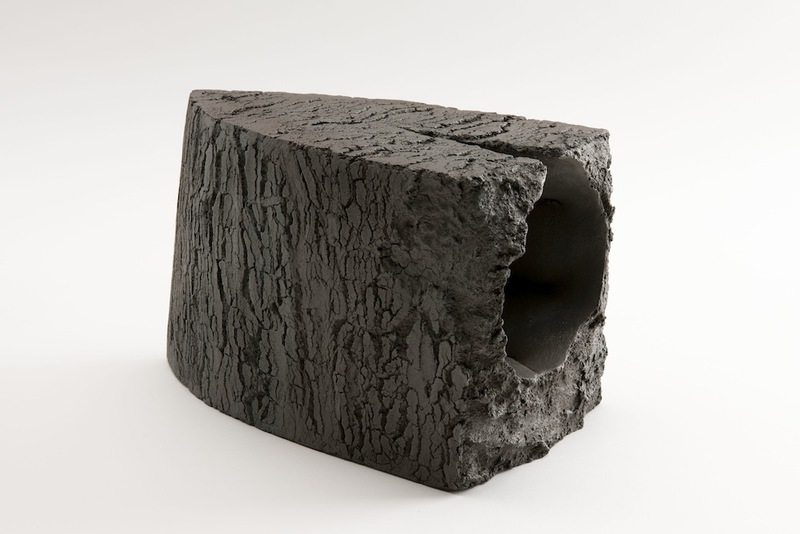 10.4 x 26 x 14 in. 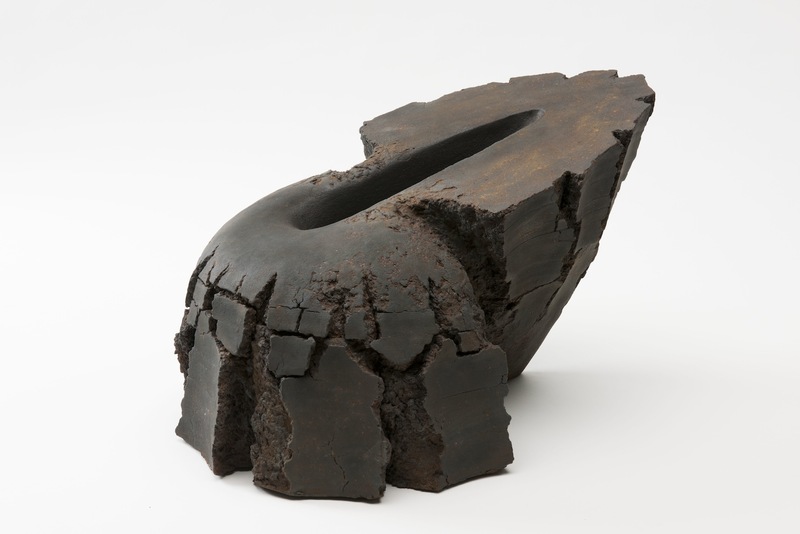 Breaking with the traditional teaching he followed at Kyoto City University of Arts, in the 1980s Yo Akiyama developed his own making process as an intuitive collaboration with earth. 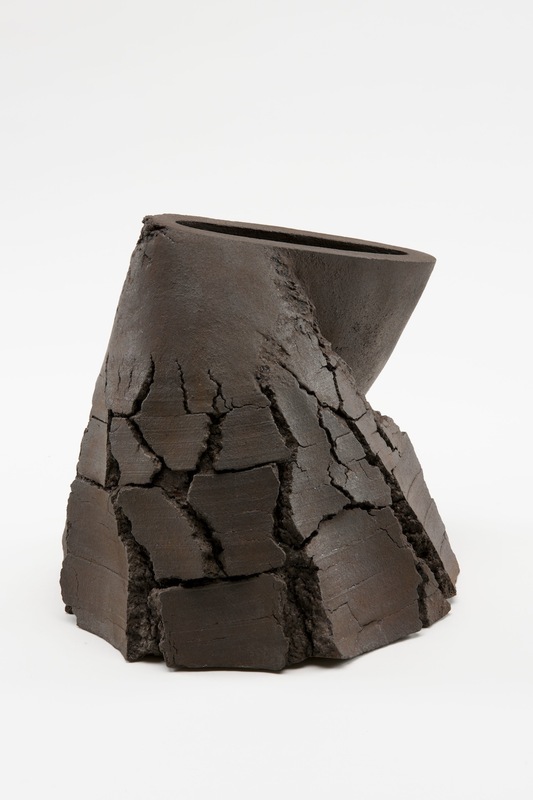 Attempting to tame and control clay, Akiyama works in a way that allows the material to reveal its own tensions, its inner forces and weaknesses. 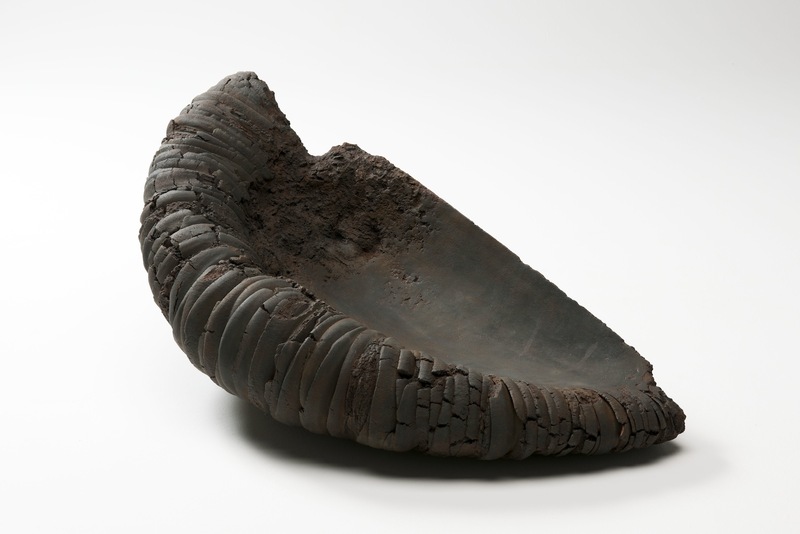 This approach reveals the influence of the primitivist Japanese ceramics of the 1950s. 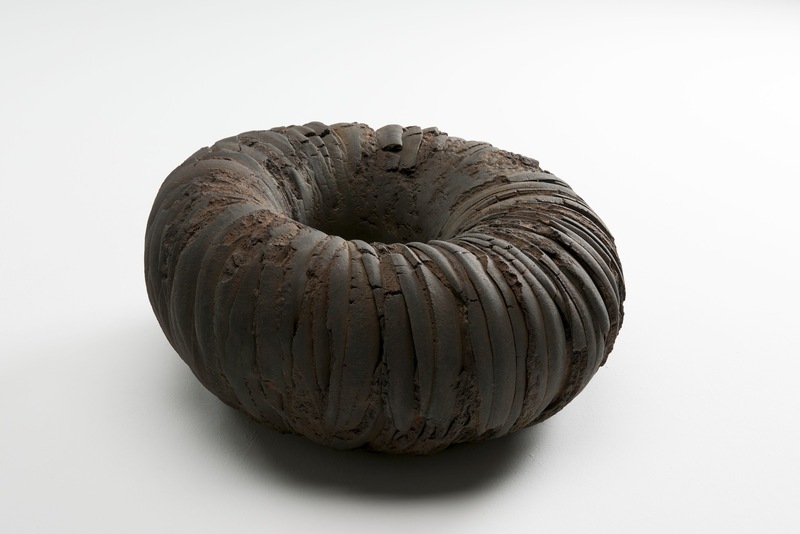 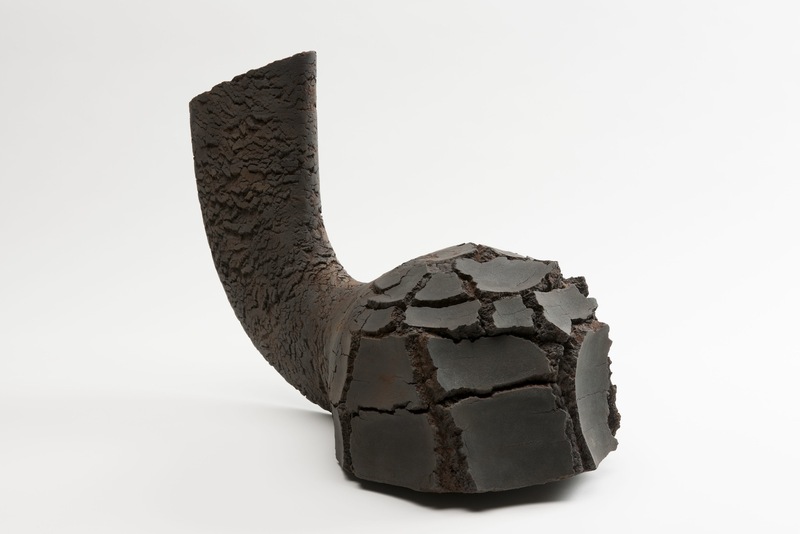 Akiyama’s ceramics are earthy and geologic; they bare a reminiscent violence of the Earth’s tectonic plates. 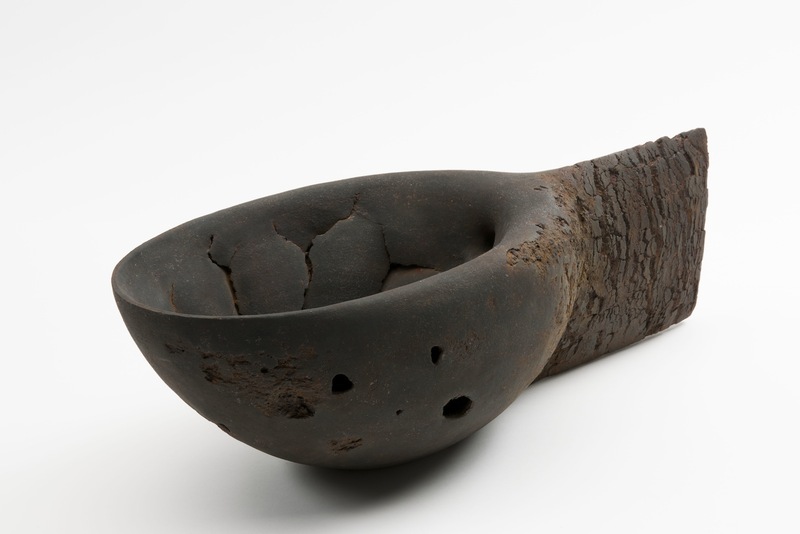 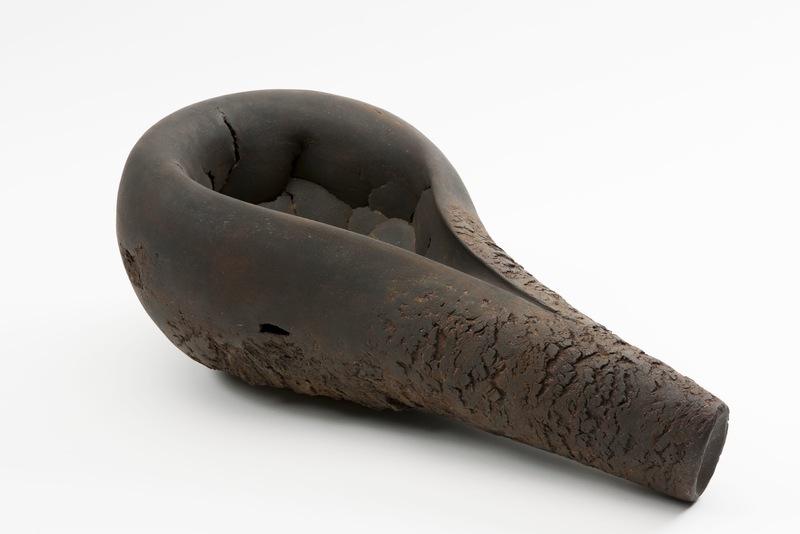 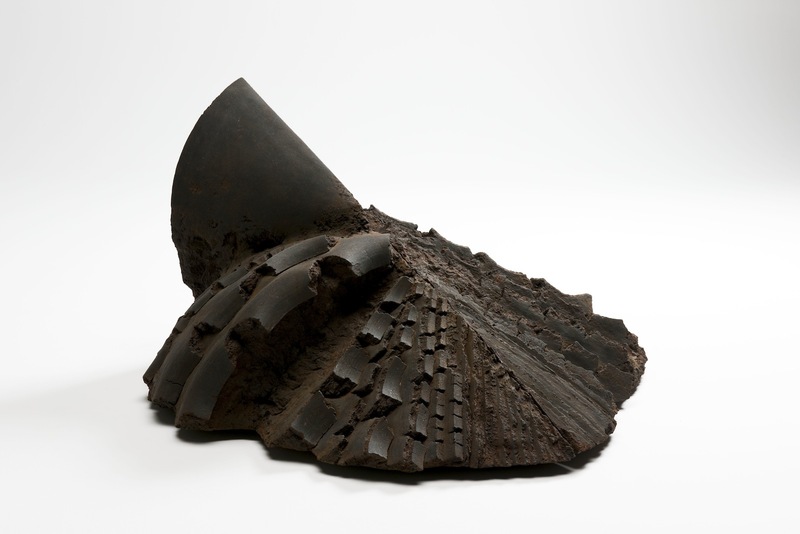 The strong presence of these works is reinforced by Akiyama’s use of metal oxides that pattern the stoneware with a rusty skin and a dull lustre. 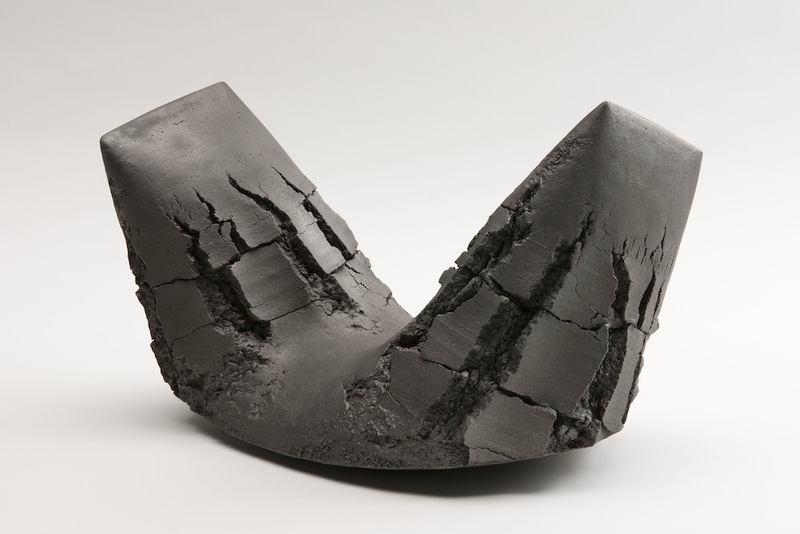 By allowing the viewer to see between the cracks and peek through the layers underneath, Akiyama generates a temptation to touch and feel this matter that looks as it were still in motion, loose and brittle, that could crumble or collapse. 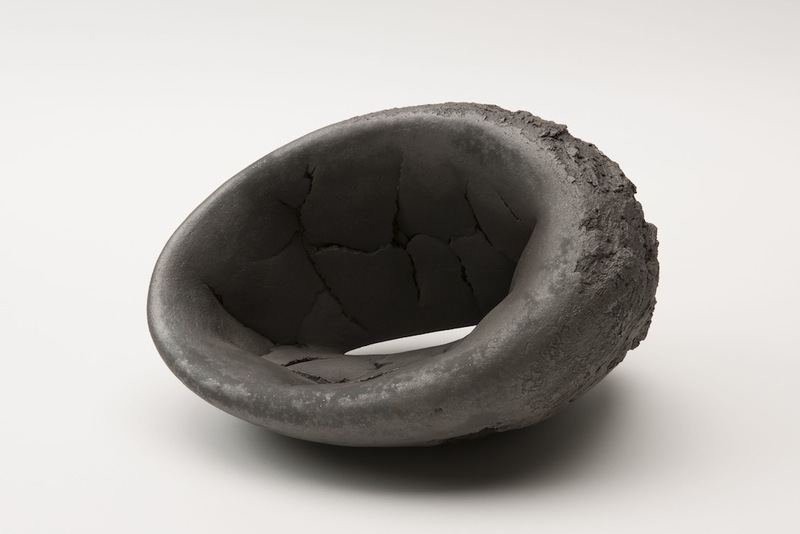 This physical work engages the viewer in the tracks of the maker. 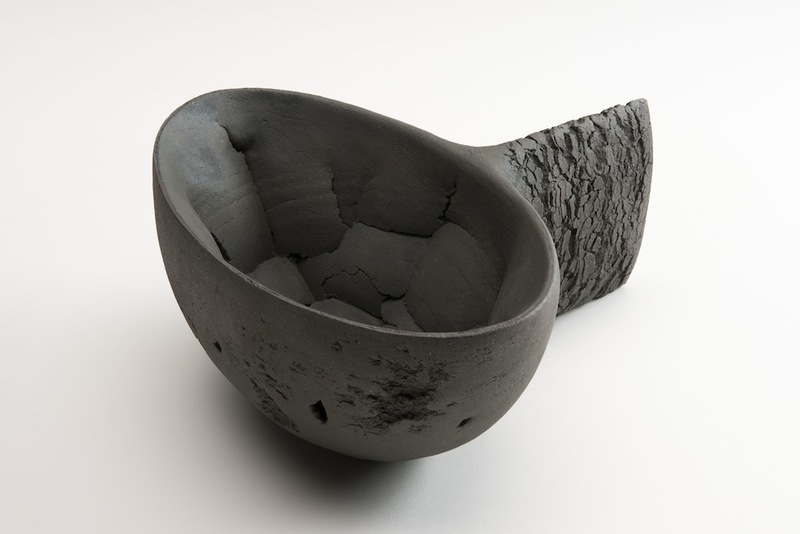 The work of Yo Akiyama is included in the collections of the V&A Museum,London; the National Museum of Modern Art,Tokyo and the Museum of Fine Arts, Boston; amongst others.